Walking with Jesus: Day 82: Acts 25:1-12 & Prov. 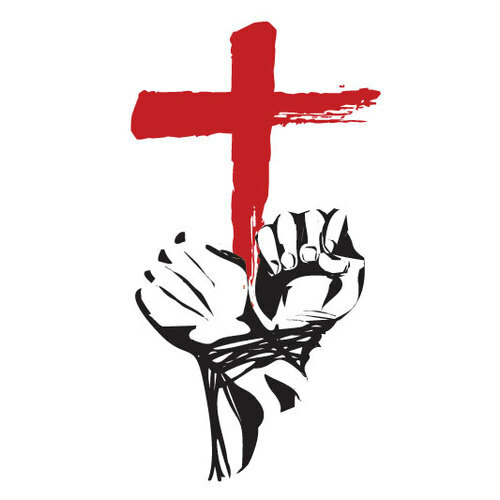 26:20-28 - Should We Embrace or Avoid Persecution? Day 82: Acts 25:1-12 & Prov. 26:20-28 - Should We Embrace or Avoid Persecution? Should We Embrace or Avoid Persecution? Some Christians seem intent on avoiding persecution at any cost. If the culture turns against the church and the Gospel in some area, they quickly adapt and change their message to suit the prevailing winds. Other Christians seem to delight in being hated, and so they look for ways to make the Gospel message as offensive as possible. They wear the world's disdain like a merit badge, whatever the cause may be. Which of these approaches is right? Honestly, neither of them. Here's why . . . The truth of the Gospel is offensive and Jesus Himself promised us that the world would hate us, because we are His followers. The message of the Bible is God's word and not ours, and we have no right to change it. If we compromise on the message of the Bible, then we have betrayed Christ. He is our King, our Lord and Savior, not the world. On the other hand, our Lord has commanded us to love our neighbors as ourselves, to love our enemies, to pray for those who persecute us and to bless those who curse us. We are called to live lives that are above reproach. We are told to follow Paul's example and put no stumbling block in anyone's way (2 Cor. 6:3). Thus, being offensive and adding our own rude, callous and unloving behavior on top of the inherent offense of the Gospel is wrong, too. But we also have another angle to consider as well. Just as the truth is not ours to change and manipulate to suit the culture, so also our lives are not our own either. Our lives belong to Christ, who has purchased us with His precious blood. Today, we see Paul appealing to Caesar to protect his life from the violent Jewish conspiracy against him. Was Paul being cowardly is appealing to Caesar. Should he have just accepted his fate? No. We are not free to be reckless with anyone's life, not even our own. Of course, this can be taken to an extreme, too. Many closed areas of the world are languishing without the Gospel because Christians are scared to take the Gospel to them. The danger is real, but so the need is even more pressing and urgent, isn't it? Paul never hesitated to enter any town with the Gospel just because he knew he would face opposition. But when he had specific information about murderous plots or conspiracies, then he would leave or stay away. Courage compels us to take the Gospel to dangerous areas. Wisdom compels us to take reasonable measures for safety. Both courage and wisdom come from the Holy Spirit. Heavenly Father, give us a clear understanding of the truth of the Gospel and the call to take Your Gospel truth to our culture and to the ends of the earth. Give us the courage to do so without compromise, the grace to do so with love and humility and the wisdom to know how to uphold the truth and exercise prudence, too. In Jesus' name we ask, Amen. Father, once again You are reminding us of the power of the tongue. You are calling us to honor You and to love others with our words. Gossip, slander, rumor-spreading and deceit are all deadly influences. If we're honest, we know we've been guilty of all of them, and we need Your forgiveness. Give us the power from Your Holy Spirit that we may simply and faithfully speak the truth in love, for You are the truth and You are love. In Jesus' name, Amen.